Now its mid of February but Mercury is rising faster and the outside temperature is 33 to 34 degree C here (Bangalore) during afternoon. Though the night temperature is still around 16 to 18 degree C. After coming from outside, you feel like having a glass of refreshing drink. 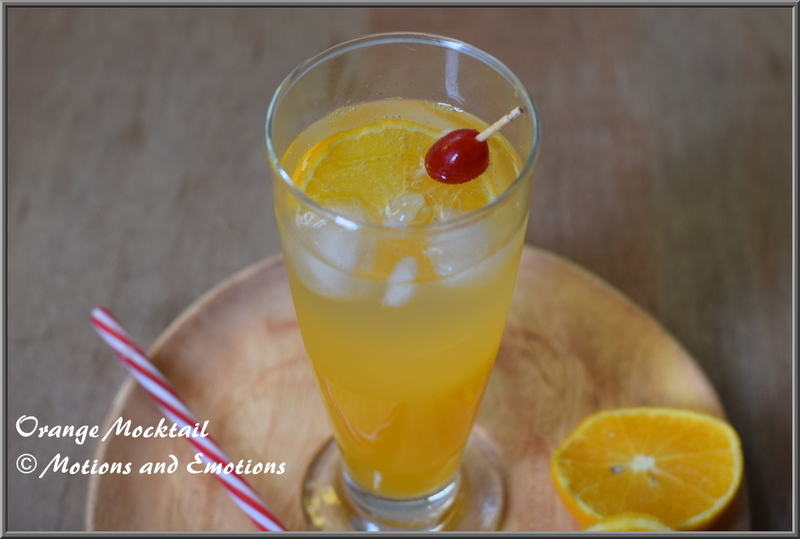 Still the availability of oranges are good in the market, I prepared Orange Mocktail to get charge up myself. This is an easy to prepare drink and it needs very few ingredients. 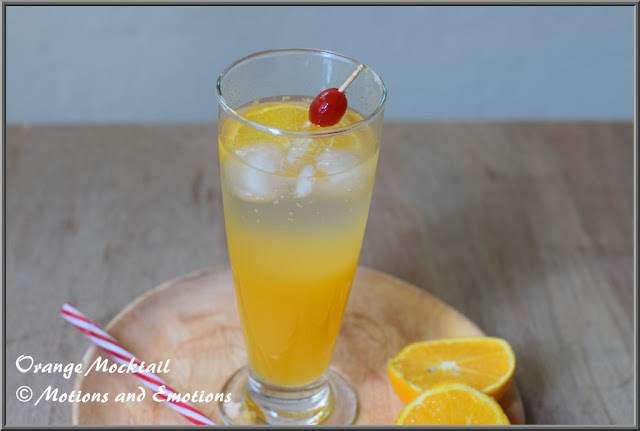 If you have oranges and a soda bottle in your pantry, you can easily prepare this drink for your guests. 1. Squeeze the oranges to get approximately 2 cups of juice. 2. Take orange juice and sugar in a pan and mix well until the sugar dissolves. 3. Add lemon juice into it and give a good mix. 4. Take ice cubes and one orange slice in each glass and pour the citrus juice (orange+ lemon + sugar) equally in both glasses. 5. Finally add chilled soda into it each glass and garnish with cherries. I cant live a day without oranges!!! This is a refreshing drink! Shall leave out the sugar and enjoy the natural goodness of the mocktail. What a lovely drink- lime in anything is a winner! A very refreshing and soothing drink!!! healthy n inviting drink Amrita.. I love such a refreshing drink, though perhaps reduce the sugar. Sounds great! Our weather is still that chilly here but I'd drink this anyway!